Найденная Вами цена на 26% ниже среднесуточного тарифа на проживание в этом отеле, составляющего 280 $ в сутки. AnastasiiaIliasova написал(а) отзыв сент. 2016 г. 048773564 написал(а) отзыв июль 2016 г.
Siglo Hotel лучший отель из посещённых мной в Исландии. Прекрасный вид из окна, очень уютно, чисто, атмосфера дружелюбия и неторопливости. Есть не большое джакузи (халат- 12 евро). Городишка очень тихий. jwberns написал(а) отзыв авг. 2017 г.
Helga J написал(а) отзыв авг. 2017 г.
sophiecpdlcv написал(а) отзыв авг. 2017 г.
Halldór K опубликовал(а) фото февр. 2015 г.
Travis C опубликовал(а) фото окт. 2018 г.
scheepalicious задал(а) вопрос 7 апр. What time is breakfast served during winter? According to what I rembember from last year its from 7 o'clock. If you need something before that I am sure they will fix something for you. Michelle T задал(а) вопрос нояб. 2017 г. We are planning a trip in February and we are interested in a stay here. Has anyone stayed in the winter here? Thoughts? It is beautiful in winter. The drive from Reykjavik can be a bit exciting depending on the weather, so if you are not accustomed to winter driving you may consider public transport. Also, it is dark all the time, so be prepared for that as well. You have a good chance to see northern lights as well. I recommend it. beckymichibata задал(а) вопрос сент. 2017 г.
Hello. I stayed two night and menu same had beef one day and lamb the other. Most amazing. Hotel is lovely and really nicely done. WiFi can be a little iffy but not really used if you're busy walking, looking at views, exploring etc. There is a nice Bakery in the town and restaurant called Hannes Boy also owned by hotel (yellow building) opposite Hotsl towards middle of town and one next door to it too. Town isn't that big either so can be explored, I didn't have much time to explore it. Virginia B задал(а) вопрос авг. 2017 г.
Hi, We are coming to Iceland near the end of November. I saw travel time from Reykjavik was about 5 hours. In your experience with November weather how much of an increase in time should we plan for? We rented a 4x4, will roads be a problem getting to your hotel? Thank you in advance. It's a great drive. Timne depends on the current weather conditions. Lisa M задал(а) вопрос март 2017 г. In July of 2016, we did do whale watching out of Dalvik which is about 34km from Siglo Hotel. 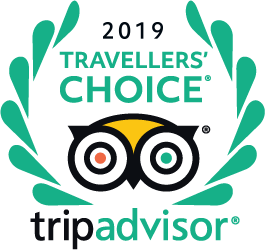 Arctic Sea Tours is listed on TripAdvisor and you could check them out. We also did some cod fishing from this boat. Other side trips in the area included a trip to Haugnes and the Etka Cod Salting factory and the restaurant nearby. Also we took a trip on the ferry to Hrisey Island which is a beautiful little village. We also visited Akureyi and enjoyed walking through the marketplace. Out of Akureyi, we visited the Kaffi Kú Cafe-Cow Shed and viewed their milking process. From their little cafe, you could look down into the barn and on the cattle as well. Hope this information is helpful. I don't however, know about horseback riding in the area which is something I am sure can be answered by the hotel representatives. Enjoy your travel!